Now that you have received your kit, you have what you need to begin refusing single-use convenience trash all day, every day. We are building an on-line community of kit users. Changing a paradigm can be challenging. On our way to launching this company, we learned a lot about how to use our kits on the go. We want to hear from you, learn from your successes and help you through your challenges. Here some of what we have learned. 6 things to know today! 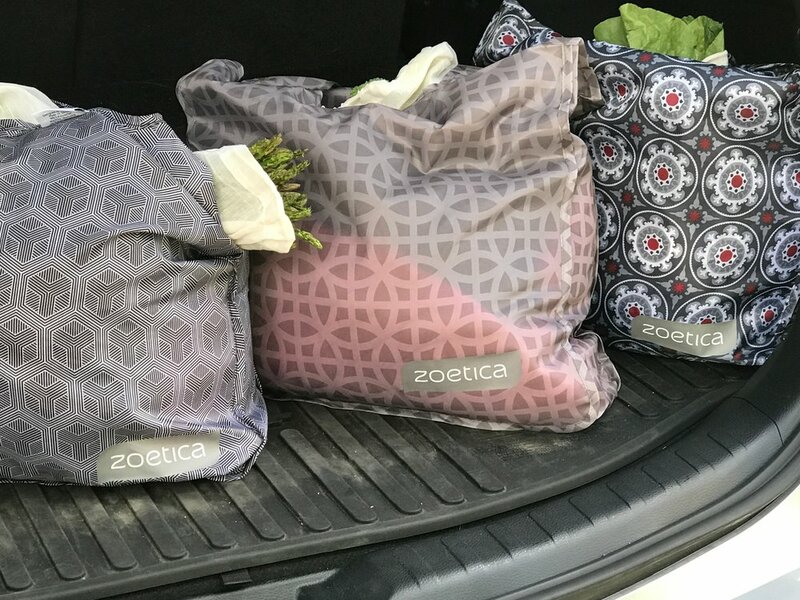 You can use your Zoetica kits anywhere anytime. You may worry that some vendors will not let you use your kit in their establishments. It is not up to them. Technique is the key. We will help out by providing tips and tricks by email and on our blog regularly so you can succeed! On planes, flight attendants can and should fill your Z-Life cup or water bottle, as long as they don't touch the rim of yours. At a to-go restaurant, if service staff refuse to fill your personal container with noodles or a salad, or your cup with a beverage, don't worry! Just ask for your order "for here" and transfer it yourself. Practicing the Z-Life is not "high maintenance". It is responsible. What we have learned to say: "I made a decision not to use any more throw away plastic and paper. Thanks for letting me using my alternatives." On your way out of your house, hotel, or rental each day, do a quick inventory. 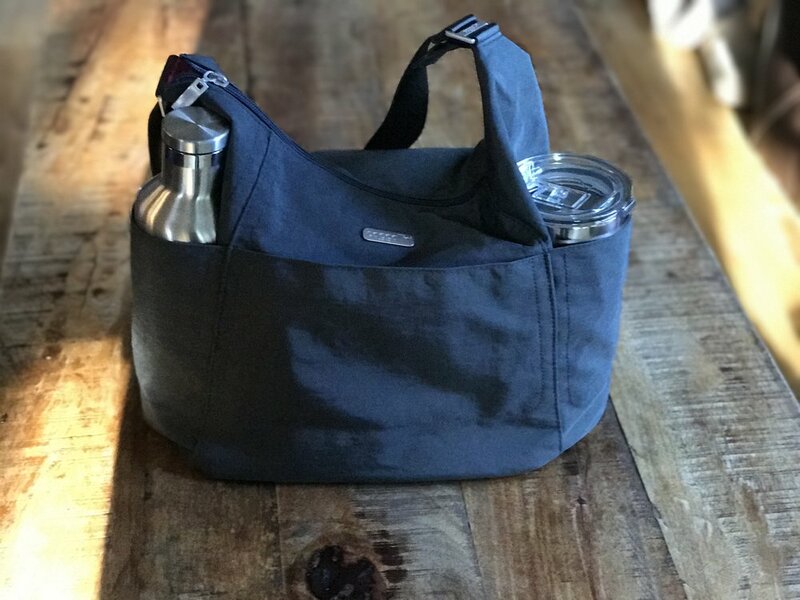 Do you have your coffee cup and water bottle? Do you have your Wayfarer, Nomad, Warrior or Bag of Bags Kit? Are your components clean? Are you worried about having time to clean up your kit when you are busy on the go? Consider ordering some "quick switch" items, or even whole backup kits. (Each kit item is also available a la carte.) 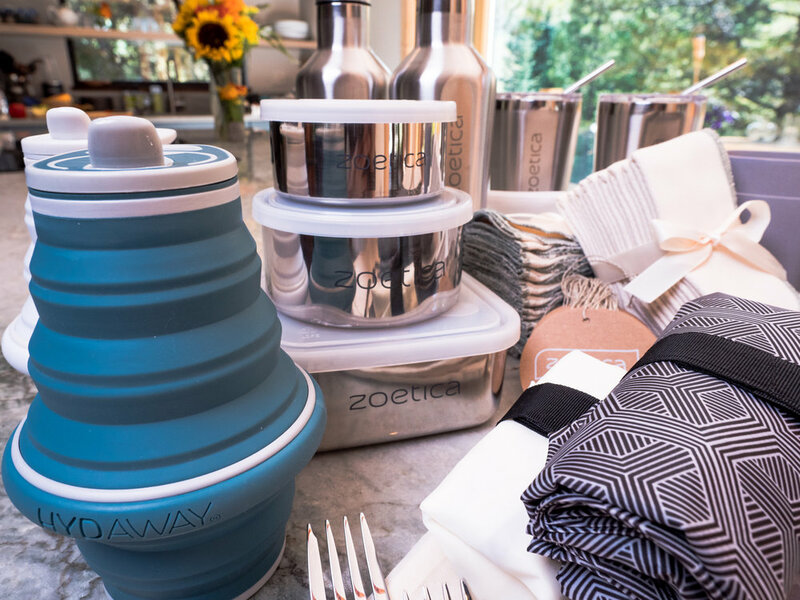 If your tiffins, cutlery, produce bags or napkins are in use, stashed in the fridge, in the dishwasher or washing machine, switch out quickly for your backups! You'll never be waiting for something to be clean. After unloading your groceries, refill your Bag of Bags quickly and put it right back in the car so you will never need to remember it when you shop. It will always be right there. 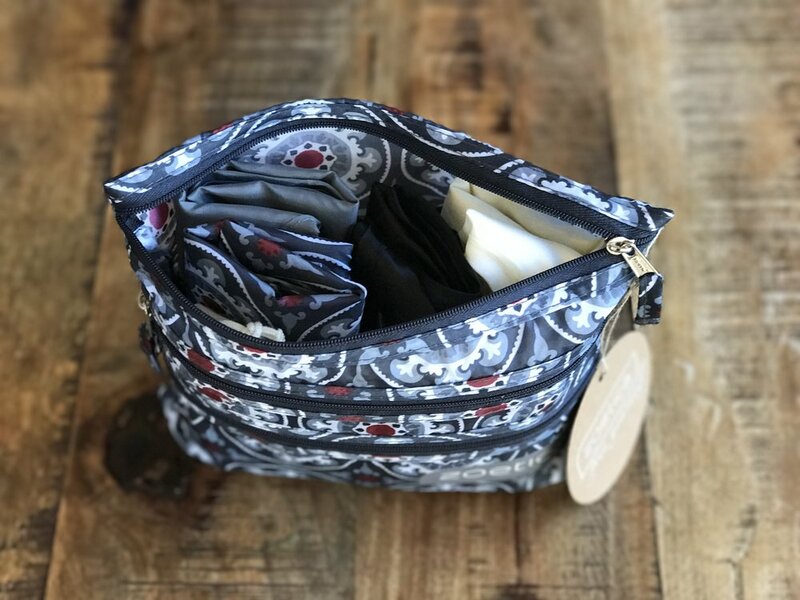 Adapt your own purse or any bag you love to be a kit! Free yourself! Nomad kit in action. 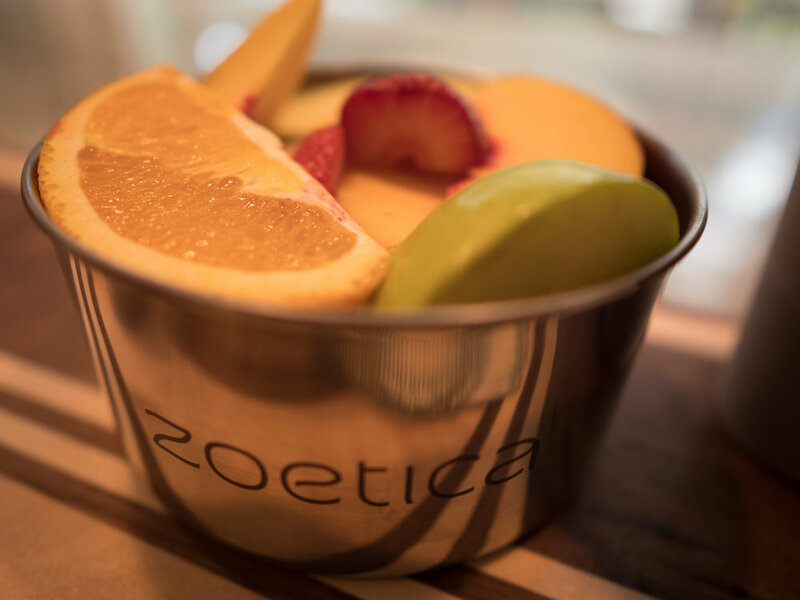 The Z-Tiffin is leakproof and the perfect size for soups, nuts and other on-the-go snacks. 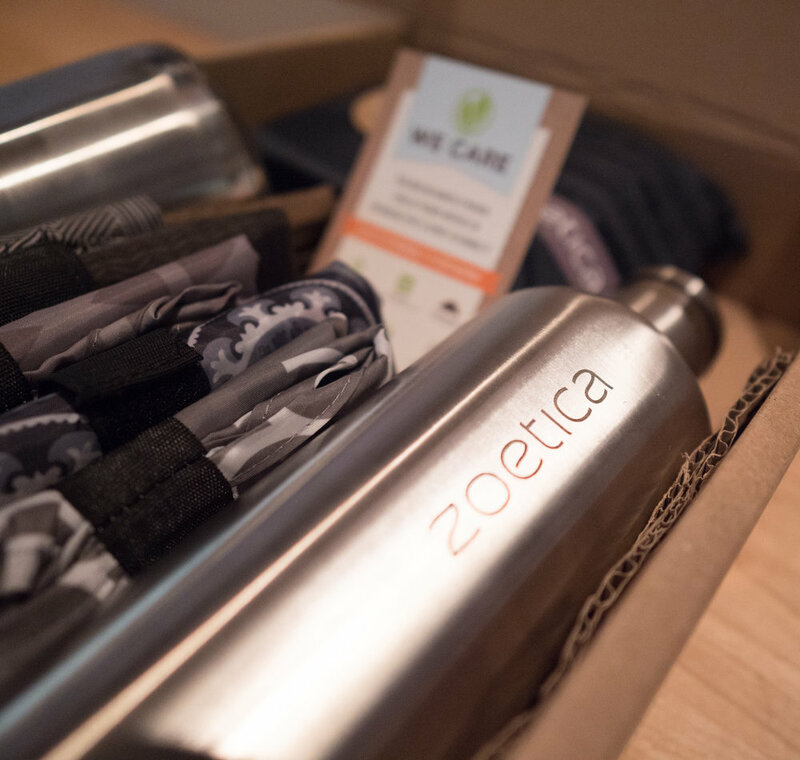 Everything we ship goes out in a 100% recycled, compostable, reusable box with 100% recycled packing materials. We care about every detail of our supply chain from top to bottom, including how our products reach your door. Preparation matters! 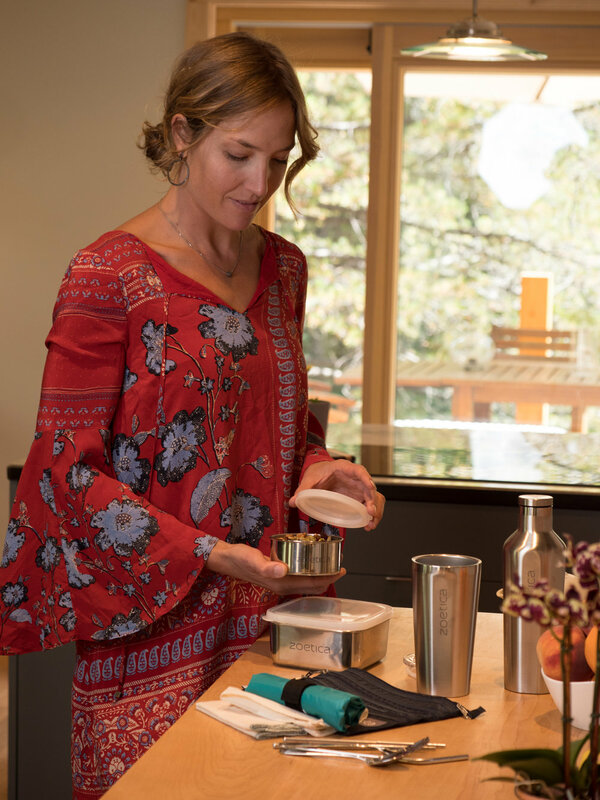 Elizabeth, a busy single working mom, gathering and organizing her Nomad Kit for a work trip. One of our favorite shopping bags is the Mini Market Tote. Sometimes you just don't need all that size in the average reusable shopping bag. Headed to a music festival and making sure to avoid every piece of convenience trash means bringing a Festival Kit!